Former Vice President Atiku Abubakar has one more hurdle to cross in his secret deal with some stalwarts of the Peoples Democratic Party (PDP) led by ex-President Goodluck Jonathan, The nation can authoritatively report. It was learnt yesterday that Jonathan said Atiku must beg or apologize to ex-President Olusegun Obasanjo to get the 2019 presidential ticket of the PDP on a platter of gold. It was however unclear if Atiku has either accepted the condition or opted to go it alone in seeking the presidential mandate of the PDP. But some presidential aspirants in PDP were said not to be ready to step down for Atiku, whom Jonathan is working to the answer for. The aspirants said they prefer to slug it out with Atiku during the presidential primaries. The affected aspirants are ex-Governor Sule Lamido, ex-Minister Ibrahim Shekarau, Governor Ibrahim Dankwambo and a former governor (now a Senator), who is expected to defect from APC to PDP. The fate of the Chairman of the Caretaker Committee of PDP, Sen. Ahmed Makarfi on the party’s 2019 ticket was hanging in the balance as at press time. Findings by our correspondent revealed that the secret deal, which made Atiku to resign from the All Progressives Congress (APC), was comprehensive and targeted at the ex-VP securing the PDP presidential slot. It was gathered that the package also borders on hijacking the party structure at the National Convention on December 9 to make Atiku’s choice as the PDP presidential candidate a reality. Following lobbying by Jonathan, some founding fathers of PDP (including a few retired military officers), have been part of the latest course in PDP. Investigation revealed that most governors of the PDP were said to have bought into the Atiku project in deference to Jonathan. A top source, who was privy to the deal, said: “The unfolding script on Atiku’s return to PDP has the blessing of some founding fathers of PDP who are out to salvage the party. A major component is a likely waiver for the ex-VP to contest the party’s presidential primaries. “So far, Atiku is complying with the secret accord for his return to PDP. A formal declaration in Yola is being expected either on Wednesday or December 6 as indicated in a tentative timetable. “But in one of the negotiation shuttles with Atiku, ex-President Jonathan added a caveat that the former Vice President can comfortably secure PDP ticket and win the 2019 poll if he begs ex-President Olusegun Obasanjo. “We were all shocked by this condition because Obasanjo is no longer in partisan politics. But Jonathan said Obasanjo is an institution whose action or inaction could make or mar the electoral fortunes of Atiku. “The former President also believes that Obasanjo may persuade any of the presidential aspirants to withdraw for Atiku after weighing all the indices. He said if Obasanjo could reconcile with him, he can also forgive Atiku. 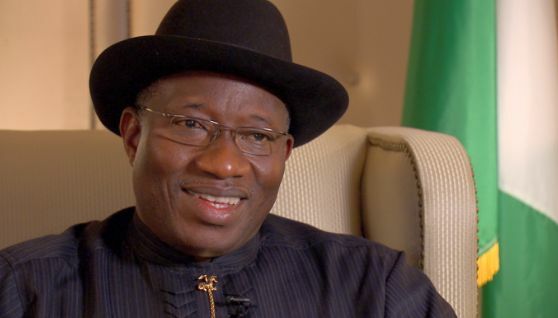 “As a matter of fact, Jonathan cited cases of chairmanship aspirants in PDP travelling to Abeokuta to seek his blessing. “We are expecting Atiku to comply with this proviso because we want to begin the media war (based on facts and figures) in earnest. Meanwhile, there were indications yesterday that some presidential aspirants in the PDP may not step down for Atiku. These include Lamido, Shekarau, Dankwambo and a former governor (now a Senator), who is expected to defect from APC to PDP. It was not clear if the Chairman of the Caretaker Committee of PDP, Sen. Ahmed Makarfi will seek the party’s 2019 ticket. A governor, who played a significant role in the pact with Atiku, said: “As part of the deal, we have been trying to prevail on some of these aspirants to step down but they have chosen to contest the primaries with the ex-Vice President. “Some of them queried why a politician will cross from the opposition party and just be given PDP presidential ticket. “One of the aspirants said since 1999, he has never defected to any party. He said loyalty to the party and competence should be compensated by PDP. While Section 8(a) and (b) of the PDP Constitution deals with the procedure for rejoining PDP, Section 18 is on the Status of Returnee Members. Section 8 reads: “A person who desires to rejoin the party after leaving it shall: (a) apply to his Ward Secretary for readmission; and (b) unless given waiver by the National Working Committee(NWC), be placed on probation for a period of not less than one year. “Subject to the provision of Section 8(b), a member on probation shall have the right to attend all meetings of the party but shall not be entitled to vote at such meetings, nor shall he be eligible to contest for elective office on the platform of the party. But the PDP top shot said: “As the opposition party, we are looking at the larger picture of the return of Atiku, we will give him all waivers required to ensure his readmission. Meanwhile, a chieftain of the All Progressives Congress, Alhaji Kehinde Olaosebikan yesterday said the exit of Atiku would not have any significant effect on the fortunes of the party in the 2019 general elections. He said no serving governor, no presiding officer of the National Assembly or key national executive officer of the party was in sync with Atiku’s defection. Olaosebikan who spoke with journalists in Abuja yesterday said in spite of the defection, President Muhammadu Buhari would win hands down and that the party would perform better in 2019. When asked of the declaration of Asiwaju Tinubu that the party would not give automatic ticket to President Buhari for a second term, Olaosebikan told journalists that the position of Tinubu was in the best interest of the President, APC and the country as a whole. “Asiwaju, with the declaration of no automatic ticket was merely portraying the President as a genuine democrat who believes in due process. What Asiwaju Tinubu said was in support of strengthening our democracy and our political institution which we need to do with all seriousness. “You would recall too, that he stated that all the organs of the party would support him through the processes. In a nutshell, he is in full support of his second term and you know with him, all the APC governors and the presiding officers in the National Assembly, the ticket is already in the pocket of the President.